2. We have a ‘legitimate interest’ in collecting that inform ation, because without it we couldn’t do our job effectively and safely. 3. We also think that it is important that we can contact you in order to confirm your appointments with us or to update you specifically on matters related to your medical care. This again constitutes ‘legitimate interest’, but this time it is your legitimate interest. 4. Provided we have your ‘consent’, we may occasionally send you general health information in the form of articles, advice or newsletters. You may withdraw this consent at any time – just let us know by any convenient method. We have a ‘legal obligation’ to retain your records for 8 years after your most recent appointment (or until you are aged 25, if this is longer), but after this period you can ask us to delete your records if you wish. Otherwise, we will retain your records indefinitely in order that we can provide you with the best possible care should you need to see us at some future date. Your records are stored in two ways: on paper, in locked filing cabinets, and the offices are always locked out of working hours and on our office computers (again, contact details only). These are password-protected, backed up regularly, and the offices are locked out of working hours. We will never share your data with anyone who does not need access without your written consent. Only your practitioner has routine access to your data so they can provide you with treatment. From time to time we may have to employ consultants to perform tasks that might give them access to your personal data (but not your medical notes). We will ensure that they are fully aware that they must treat that information as confidential, and we will ensure that they sign a non-disclosure agreement. McTimoney Chiropractic Clinic are committed to ensuring that your privacy is protected. Should we ask you to provide certain information by which you can be identified when using this website, then you can be assured that it will only be used in accordance with this privacy statement. McTimoney Chiropractic Clinic may change this policy from time to time by updating this page. You should check this page from time to time to ensure that you are happy with any changes. This policy is effective from 17th May 2018. 1.1 We are committed to safeguarding the privacy of mctimoneyclinic.co.uk visitors and service users. 1.2 This policy applies where we are acting as a data controller with respect to the personal data of mctimoneyclinic.co.uk’s visitors and service users; in other words, where we determine the purposes and means of the processing of that personal data. 13.1 This website is owned and operated by McTimoney Chiropractic Clinic. 13.2 We are registered in England and Wales under registration number [number], and our registered office is at McTimoney Chiropractic Clinic, Borolands Farm Axmouth, Seaton, Devon. EX12 4BP. 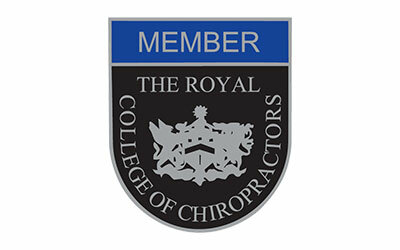 13.3 Our principal place of business is at McTimoney Chiropractic Clinic, Borolands Farm Axmouth, Seaton, Devon. EX12 4BP.